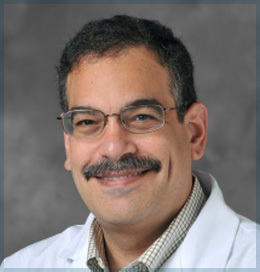 Dr. Haythem Ali is a medical oncologist at Henry Ford Hospital in Detroit Michigan and a clinical assistant professor medicine at the Wayne State University School of Medicine. Dr. Ali’s Clinical and academic interests are in discovering the impact of ethnic disparities in the biology of different neoplastic processes. Dr. Ali became interested in keloid disorder as it is another disorder where ethnicity plays a significant role in the biology and clinical presentation of the disease process. Dr. Ali is an active participant in national and international trials through his active participation with the national cancer institute cooperative group research mechanism and numerous industry-supported clinical trials. He is an active member of both the Southwest Oncology Group (SWOG) and NRG Oncology. He is bringing all his clinical trial expertise to design and conduct of trials that we are planning to conduct in very near future in keloid patients. Dr. Ali is an active member of the American Medical Association, American Society of Clinical Oncology, European society of clinical oncology and the Michigan Society of Hematology and Oncology.